Buy Steam Wallet Codes for Malaysia and pay using your Maxis or with an online Bank Transfer (FPX). There's no registration or login required, and the code will be emailed to you immediately after completing your payment. It's the fastest way to top-up your Steam Wallet! 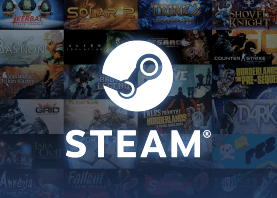 You're just seconds away from buying a Steam Wallet Code for Malaysia! To complete your purchase, simply choose the voucher denomination that you want, and the payment channel through which you'd like to pay, and then enter your email address. You'll then be asked to complete the payment, and after doing so the code will be automatically emailed to you. You can then redeem it on Steam. Don't wait! Get your Steam Wallet Codes from Codashop right now and enjoy uninterrupted access to games such as Dota 2, CS:GO, PUBG and other top titles.